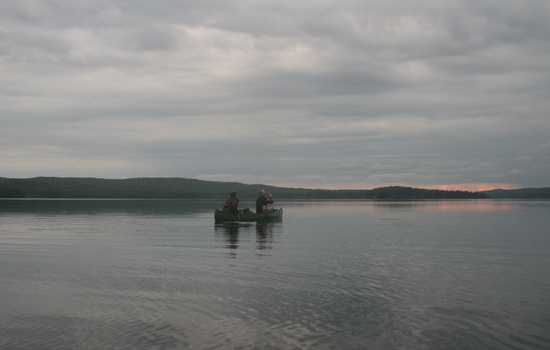 Last weekend Mike, Matt, Jerry, and I went for a canoeing and camping trip in Algonquin provincial park. Jerry and I rode our motorcycles and we all met up at Northern Wilderness Outfitters where we rented two canoes. 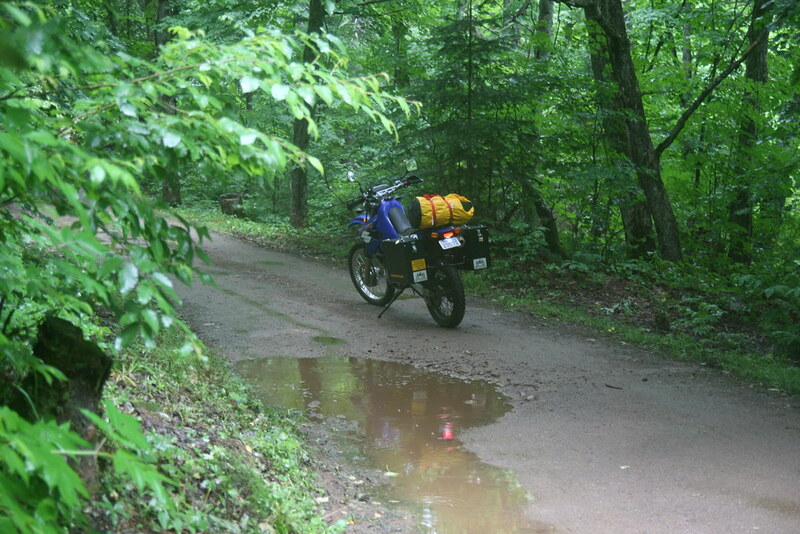 I left directly from the hospital post-call on Friday morning, having packed my bike before my Thursday shift. 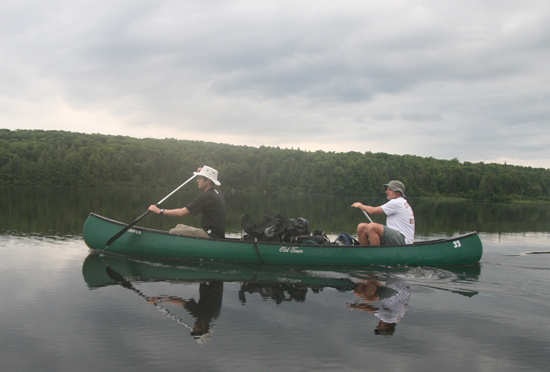 It had been a long time since I had been in a canoe and I was wondering if I would capsize. In the end it was Matt, the seasoned pro, who ended up in the lake when Jerry made a failed attempt to land the canoe they shared at our campsite the next day. 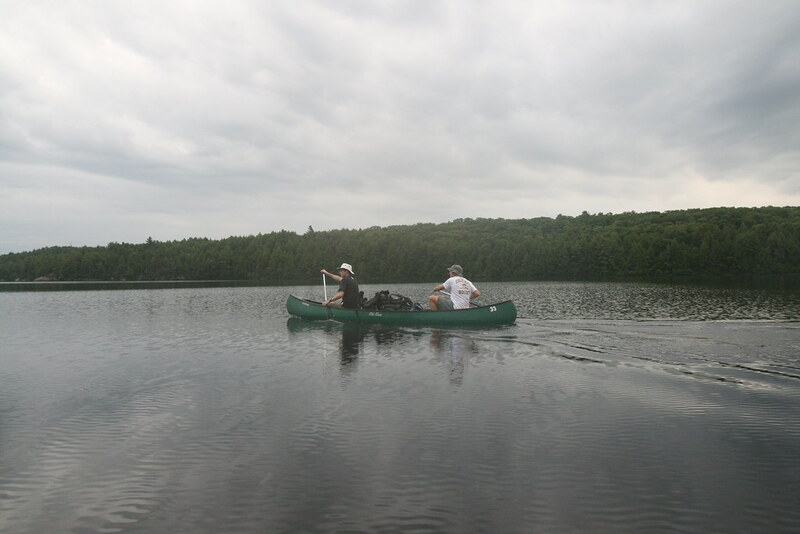 To get to where we intended to camp the first day, we had to paddle across a lake, then a serpentine river (with two portages) then across the West arm of North Tea Lake. 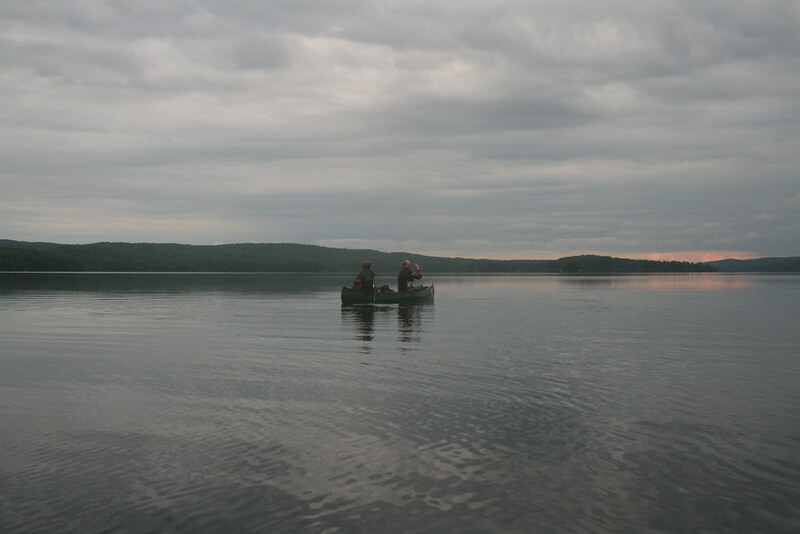 We finally found a camp site on an island in the East Arm of North Tea Lake just as it was getting too dark to see. The next day we paddled to the end of the East Arm and did another portage to Lake Manitou where we found a soft sandy deserted beach and swam and soaked up the sun. It threatened to rain all weekend but we only had a few showers and one night of rain. It was a fun trip. 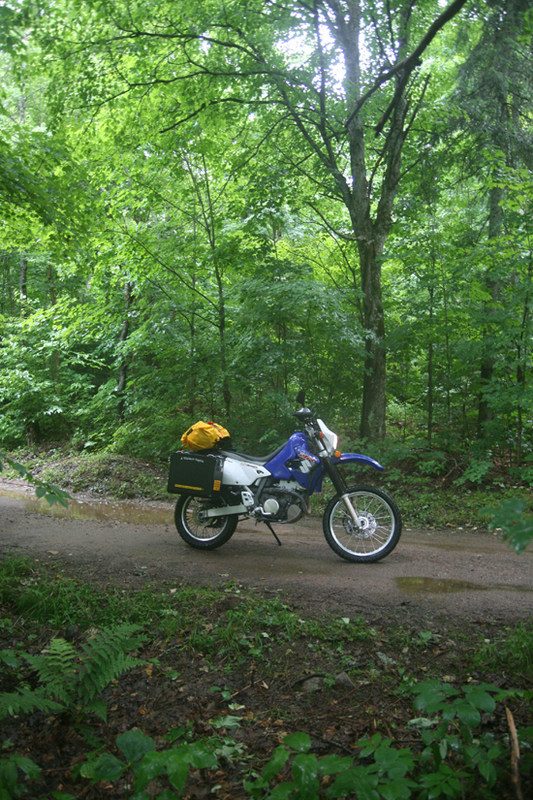 However, I have to say that I may have enjoyed the ride throuh the forest from South River to the outfitters even more than all the paddling. 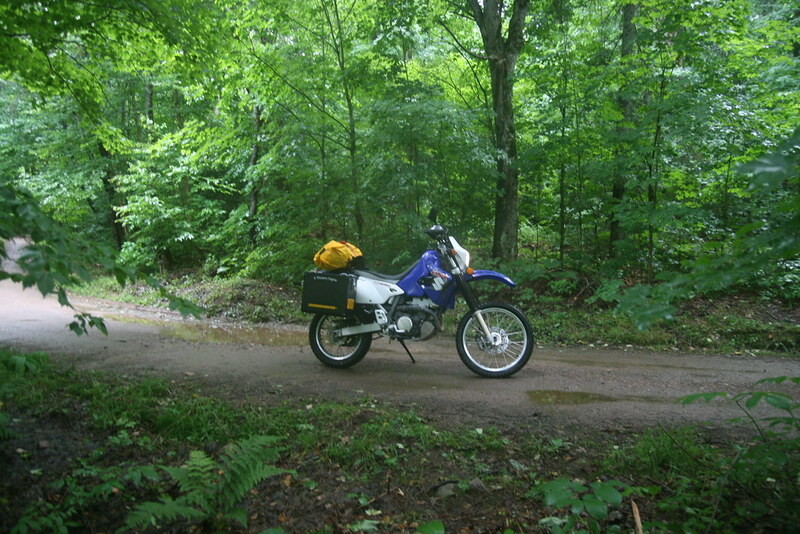 I packed almost everything I needed for a weekend of camping onto my increasingly adventure-ready DRZ400. I am looking forward to my upcoming trip from Toronto to Lethbridge, Alberta along the most northern east-west route I can find across Canada.